A few weeks ago I wrote a post titled How to Recognize Snake Oil in Your Personal Learning Network. For me, it wasn’t all that different than any other post I’ve written. 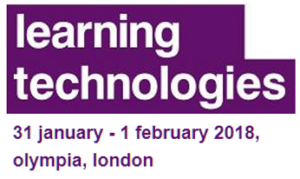 I’ve written about Personal Learning Networks (PLNs) a number of times in the past, and had a new perspective to share on the topic. It wasn’t until shortly after I hit the publish button that I realized this post was a little different than most of the posts I have written in the past. The comments started rolling in shortly after the post went live. While most of the feedback I received agreed with the message in the post, a number of people did not. Some objected to the use of the term snake oil, some found the post to have an elitist tone, and some found the focus too negative for something as positive as personal learning networks. Anything that spurs conversation is a great opportunity for learning, and the conversation that has been taking place in the comments of my original post has been great. At the same time, I’m left wondering why some readers reacted the way they did to the post. There are a number of factors that could contribute to the reaction. A few people reached out to me asking if I had them in mind when I wrote the post, so it might have hit a little too close to home for some people. Others may have different views on what a PLN is (or should be) and therefore disagreed with my viewpoint on that basis. And in some cases, maybe what I wrote wasn’t clear t the reader, and left too much room for interpretation. It’s that last point – maybe I wasn’t as clear in my message as I could have been – that has inspired me to write this follow-up post. In truth much of this was already written elsewhere. Mark Sheppard wrote a complimentary piece on his blog that shared his thoughts about my post and the reaction to it. I replied with a pretty lengthy comment, giving full disclosure that I planned to re-purpose much of what I wrote as a follow-up post on my blog. I’m hoping this post adds a little more clarity to what I wrote originally. I know some people thought my use of the label “Snake Oil Salesman” was overly harsh. To me the fact that some people were offended by the use of this phrase only reinforces that it was the right term for me to use. Snake Oil Saleman IS an insulting term, and rightfully so. As I’ve said in comments on the original post, one of the key factors that earns the Snake Oil Salesman label is INTENT. 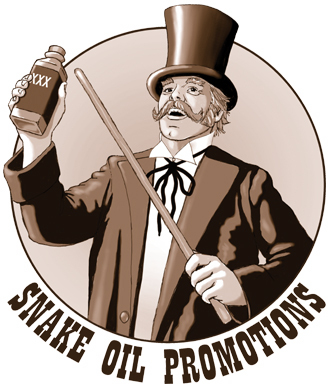 In the context of a PLN, the snake oil salesman has an awareness that he or she is overselling him or herself to others, positioning themselves as a leader that should be connected with and respected. I don’t care how experienced a person is or is not in this scenario – their knowledge and skills is actually irrelevant. Once that intent is present, every action they take becomes suspect. I can’t speak for everyone, but my PLN is an overwhelming positive place filled with people I have connected with and built a shared learning trust with. PLNs aren’t about finding like-minded people that build me up by providing unconditional validation. That’s where the criticism of enthusiasm came from. The snake oil salesman in your PLN uses enthusiasm to make themselves more attractive to desire a connection with. I don’t value enthusiasm based on unconditional validation. To me that’s no different than me telling my kids that they are awesome at everything. I believe transparency in the support you provide to others is more valuable. If it’s great, by all means be enthusiastic in saying so. But if it’s not great – when did being good enough become so undervalued anyway – I think you provide members of your PLN a disservice by not providing feedback or disagreeing with them. I disagree with members of my PLN often, and see those disagreements as excellent learning opportunities. Debate is great for learning. But deception is not. Decpetion has no place in my PLN, and I wouldn’t recommend allowing that cancer to exist in anyone else’s. Some of the comments made to my post criticized me for qualifying people who could be included in my PLN based on their experience. There were comments that made it seem like those who were less experienced than me were not welcome in my PLN. I have two responses to that. First, it’s simply not true. I relish the opportunity to connect and learn with people who have less experience than me. If you reread the post, I don’t talk about not welcoming people based on experience; I talk about not welcoming people who misrepresent themselves. It’s exclusion based on a lack of integrity, not on a lack of experience. Some felt that I was focusing on people that were trying to join discussions that are above their current level of experience. I wasn’t, but I easily could have been. I’m fine with someone joining discussions that are above their pay grade – I do it all the time. But there’s no reason you can’t do it transparently. I see more drawbacks then benefits to trying to fake it in a conversation beyond a person’s knowledge and skills. Just be honest and say “I’m new to this, and am looking to learn more”. We’re talking about PLNs here, not a paycheck that’s putting food on the table. The “Fake it till you make it” rules don’t apply. When it comes to your PLN, NOT faking it is what helps you make it. The second response is to simply point out that the concern people have brought up about experience is just inaccurate as it relates to the post. Yes, I do say that the Snake Oil Salesman in your PLN is overselling their experience. But the main focus on that statement isn’t the level of experience; it’s on the overselling. It comes back to intent. I don’t care how experienced you are; if you’re using enthusiasm to give a false impression of how much experience and/or competence you have, the second someone connects with you that might not have otherwise, you’re a snake oil salesman. I was also criticized for focusing on a cautionary aspect of PLNs, when PLNs are an overwhelmingly positive resource. In the overall context of PLNs, I completely agree. We should be embracing PLNs because they are wonderfully powerful sources of learning. 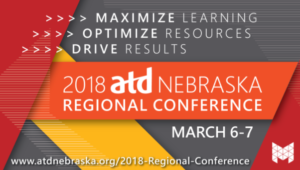 If you analyzed my blog you’d find a great number of pieces touting the wonders of the PLN – this post with a cautionary tale is one small piece of an otherwise positive focus. That doesn’t make the cautionary tale of snake oil any less true, or important for people to be aware of. My post wasn’t meant to imply there’s an epidemic of snake oil and that you need to start every new connection with caution in mind. It’s more about awareness. Think of it in the context of a child. The vast majority of people my kids will meet in their life will be great people. But there are people that would do them harm, and I need my kids to understand that those people exist and what the warning signs of identifying someone like that are so that they can be safe. The snake oil salesman IS rare as compared to the positive connections that are available, but we need to know that they are out there to be safe. I’m hoping that this post adds a little more clarity to the message I wanted to share originally. At the same time, it may reignite some of the passion that inspired the conversation around the original post. So… clarity or additional conversation. Sounds like the proverbial Win-Win to me.